While there's no denying that your ability to get the partner of your dreams might require some smooth talking, it's always seemed somewhat of an imprecise science. Now, research suggests that the secret to success lies in the way you use your pronouns. James Pennbeaker, a psychologist from the University of Texas Austin, has long been interested in the way language helps shape our interactions. In fact, he's helped NPR get to the bottom of how the way we use language affects our dating. Pennbeaker has recorded and analysed conversations that occur during speed dates, and he found that the way couples use language is an incredibly good predictor of their future together. "The more similar [they were] across all of these function words, the higher the probability that [they] would go on a date in a speed dating context. And this is even cooler: We can even look at ... a young dating couple... [and] the more similar [they] are ... using this language style matching metric, the more likely [they] will still be dating three months from now." This, apparently, isn't a case of likes attracting, either. Rather, it's that when people are around someone they find interesting, the way they use language changes. Powerful couples may use the word "I" a lot; generous partners may say "you" more often. 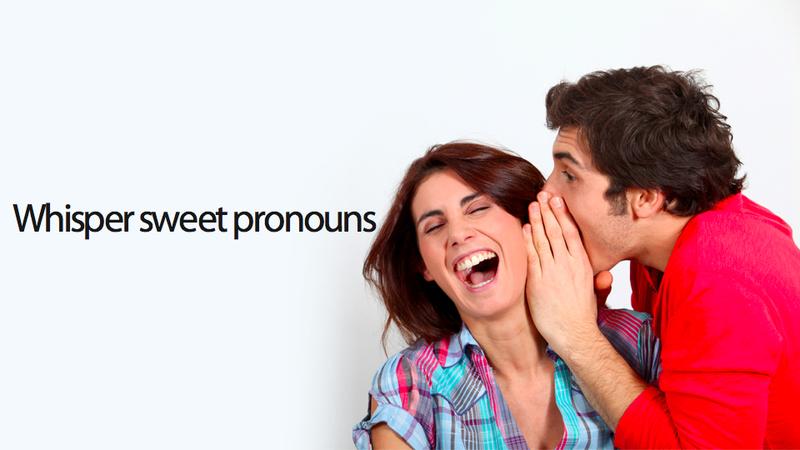 Regardless of what words are used — though you might have noticed that pronouns probably have the biggest impact — it's similarities in our style of speech that seem to predict how well our relationship will perform.